How nice to get the fancy things from you. I at once put on the Marabou band thing- it’s a lovely idea. I first put it on the head, then as a collar. I love the little card; its what is called découpage. I remember Granny was in to that. I am in the cardiac section of ward 3. I am the only female, all the rest are men in various stages of decay and illness. I am okay now and up walking about thankfully. I did not feel well last week. Mrs Shutt thought I looked ill. I had a lung pain (sometimes) and sore breast bone, at times. I know now that was the making of a heart attack. It was at 3:30am Tuesday in the study bed (high winds) that I took chest pain and arm pain and heavy profuse sweating. Things happen when one is alone. Luckily I just happened to know the name of the hotel in Aberdeen; luckily CV was delayed there for the night as ship was delayed with bad weather. I got directory enquiries to get me the number. I just lay still after getting up to make tea & fill hot bag. I did not get the doctor right away as I lay still thinking about Steps to take. Quite a thought. I knew I would have to be put away to hospital also CV would have to get back home and before he got away on the ship to be told about it. Was that the right thing? I lay exploring all the ways. No ambulances! Who will take me? Wills, Lydia? McGarry? I plucked up courage at 5am & phoned the doctor. He said I should have phoned at 3:30am. I phoned Imperial Hotel. “I’ve taken a heart attack” No ambulances- only Police vans. Dr Doyle says. So I phoned Dr Will! Kil. 2166. They both came round and Dr Will set off with me leaving Dorothy to shut the front door. Oh yes, I also phoned David Henderson! Laura to come at once- key in lamp hiding place. I even put a furious Dennis out, luckily, as Laura didn’t arrive ‘till 4pm, (things would have been bad by then!). I got into hospital at 7:30am. It’s very nice and nice food. I am complicated by diabetes of course and blood sugar counts. I have my Kewpie beauty bag and even nail varnish on my toes. I put powder in my hair so as it don’t get greasy, and brush it up very fluffy. Eliz Boyd & Marilyn Wylie are supposed to visit me. I may get out on Tuesday. What happens then I just don’t know. If only Punk could drive. I wont get driving for a few weeks. So if you ever get a sore breastbone and lungs, pain down the arms, it’s a Heart Attack. The first time C.V. alone at Glen Eden was last night. No Ghosts! So he says. He’s at home tonight, as it was afternoon visits. He was to light the Library fire for TV with Punk /Dennis. It transpires that your Great Grandmother had a very long history of mental illness. As the records are either not in a fit condition for copying or are in very heavy volumes, I have transcribed the salient passages. On 25 Feb 1904 she was transferred to Govan Parish Asylum at Hawkhead (later re-named Leverndale) because under the Poor Law system Govan was the parish responsible for her. The doctor who first examined her there wrote, “She is often unduly depressed and confessed that she is under the influence of delusions”. She remained at Hawkhead, at least until 1917. There is a gap in the records between 1917 and 1921. On 30 Jul 1921 she was re-admitted to Hawkhead. She is described on admission as a 55 years old widow, previously residing at Dalmary Cottage, Gartmore. She is diagnosed as suffering from “Dementia secondary” and is said to have been insane for 18 years. On 8 Oct 1929 she was transferred to the mental wards at the Southern General Hospital (also run by Govan Parish Council). These wards were generally used to house chronic cases of incurable insanity, especially amongst elderly people. Her next of kin is recorded as being her sister, Mrs Miller of 225 Holmlea Road, Cathcart. She remained at the Southern General Hospital until her death, 1952. I hope that this will help you. Please bear in mind that it is very unlikely that we will be able to provide answers to whatever supplementary questions may occur to you. For instance, the records do not state whether she was buried or cremated, nor by whom. Nor do they indicate who visited her. Greater Glasgow Health Board Archivist. 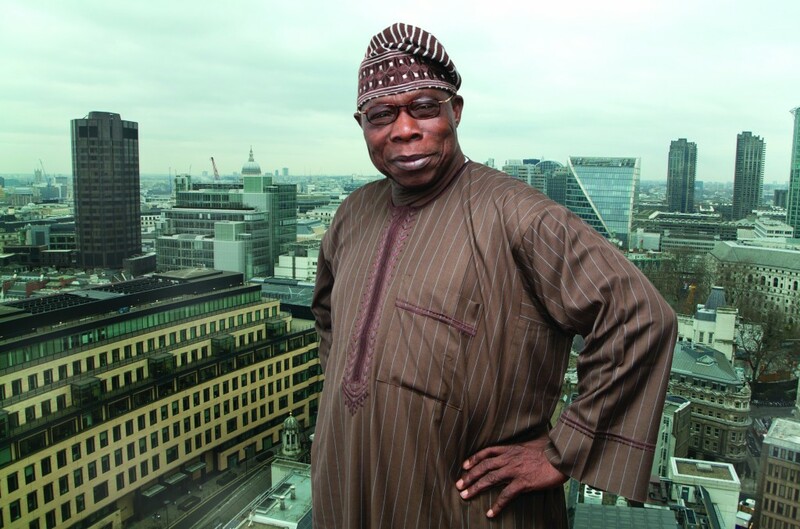 On February 8, the Olusegun Obasanjo Foundation was officially launched at a gala hosted at Grosvenor House, Park Lane, London. 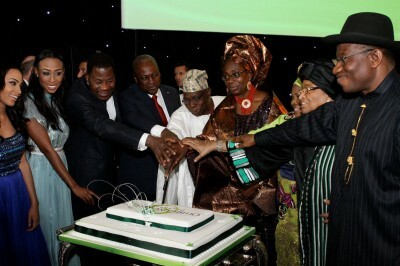 The former Nigerian President, Olusegun Obasanjo was joined by an esteemed panel of African Presidents which included President Ellen Johnson Sirleaf of Liberia, President Goodluck Jonathan of Nigeria, President Thomas Yayi Boni of Benin, President John Dramani Mahama of Ghana, with a special video message from President Ali Bongo Ondimba of Gabon. Over 1,000 special guests from across the globe were in attendance to support the Foundation’s inauguration.